Mayalu: Finding peace with toddler tantrums. He wanted to flollow the ducks into the pond! Tantrums. The terrible two's. 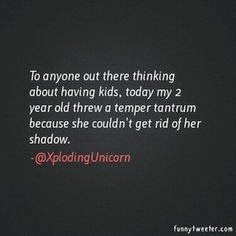 I have been expecting them, preparing for them and I got a dose of a real tantrum the other day-except Ollie is only 18 months! Now of course he has had his fair share of outbursts before but these full blown tantrums are completely different. I wanted to explore the best way to react and to navigate these tricky situations. Ollie's first major meltdown happened when we were out for a walk the other day. We had played a lovely game of football in the park and I had popped him in his buggy to go for a nice long walk before we headed back to the car. So we were half way through our walk when suddenly Ollie decided he didn't ant to be in the buggy anymore. Fair enough. I popped his harness on to let him walk. Nope don't want to walk. Didn't want to play football. Didn't want to be carried. Didn't want me to carry the football/put it under the pram. Didn't want to be carried. It seemed all he wanted to do was sit on the floor and cry. I gave up on the idea of a walk and decided to return to the car. It didn't help that my coat was made of the same slippy material as his coat so as I struggled to carry the screaming toddler who had made himself all floppy he just slid off my hip and to maneuver the pram with the other hand. I tried to keep my face calm and loving and continued planting little kisses on his tear stained cheek. I must have looked like such a crazy woman- my hair a mess from being pulled, my coat covered in little footprints trying to escape, stumbling down the street trying to get home. I can laugh now but at the time the journey back to the car seemed endless. Why am I telling you this? Obviously its not my greatest moment as a mum! 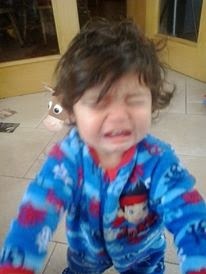 On the drive home it led me to think... What do you do when your toddler is throwing a tantrum? Now as with all new mums, we are all just learning as we go and I am lucky enough to have my own mum (mother to 6) to turn to for advice so here are a few nuggets of advice to help you survive the stress' of tantrums. Be present; Keep your face calm, positive happy or neutral but try not to fall into a stressed/negative or agitated state as this will only mirror your toddler instead of lift their spirits. Offer an alternative or a distraction: So you may not let them take a toy from another child but offer them another or take them away from the situation. Play with them: Sometimes the reason they are acting up is because of boredom. I find the best thing to do in these situations are to be their to play with them, Go outside for a walk or run around. Leave the dishes (they will wait). 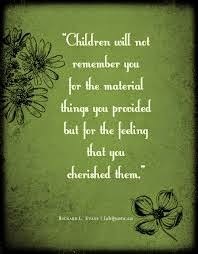 A calm toddler is much less stressful than a messy kitchen! 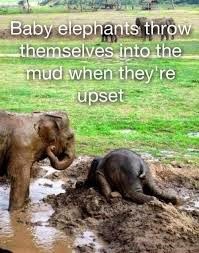 Tantrums can be upsetting for both mum and baby so once your little one is settled again, take some time out to reflect or meditate. This can restore your energy levels and bring you back to a more peaceful and positive state. Spend some time away from technology, reading stories, going for walks it will help you de-stress. I hope you may find some helpful info in here and as they say a problem shared is a problem halved ;) Any other mums out there have any other tips? Reasons my toddler is crying; He wanted to put his hand in my hot tea!